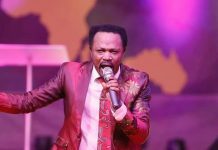 Chris Okafor popularly referred to as The Oracle, is a Christian minister, televangelist and faith healer with particular emphasis on dealing with supposed foundations and altars base in Lagos, Nigeria. He is leader and founder of Mountain Of Liberation and Miracle Ministry, also known as Liberation City. He is also the president of the Chris Okafor World outreach Ministries (COWON). He is a prophet with highly amiable and pleasing personality. 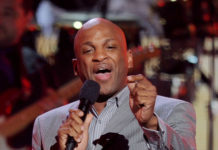 He was on born April 4, 1970 in Benin City, Nigeria into the family of Mr and Mrs Stephen Okafor, a family of five in Ihite, Orumba South Local Government Area of Anambra State, and was raised in the Anglican Communion. His birth providence was already showing forth about his coming, as it was revealed to great men and women in the kingdom through prophecies that he was another Elijah coming. And in no time after his birth, there were apparent manifestations of all the revelations God gave concerning him, which culminated in him prophesying right from his tender age. He did his primary education at Ohuoba Primary school, Edo State From 1978-1983, where he attained his first School Leaving Certificate. He also attended the Edo College from 1984 and sat for the Senior Secondary School Certificate Examination (SSCE) in 1989 after which he gained admission into Ambrose Ali University, Ekpoma in Edo State. 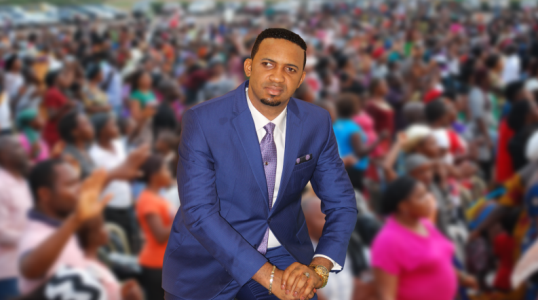 Prophet (Dr) Chris Okafor holds a B.Sc in Business Admission. 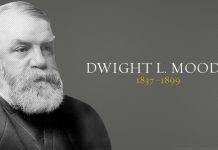 In his family, both extended and immediate, he was the first male to graduate from a university. Okafor founded the Mountain of Liberation and Miracle Ministries, also called Liberation City, in November 2003 in his apartment. He later moved to Prismoni Primary School, Ojodu, where the full church services commenced. Originally the church occupied a classroom, and later moved to a hall. Due to the increasing size of the congregation, a church and a portion of land was found on Oshofisan Street where the church, now Liberation City, was built and commissioned in August 2010. Despite the new facilities, the church often requires canopies placed outside the building to accommodate overflow. 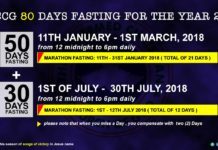 Today, according to the organisation, more than 15,000 members attend its weekly Sunday service; visitors from outside Nigeria are accommodated in the accommodation blocks constructed at the church. Liberation City services, particularly the monthly Vigil The International Night of Prophecy and Solutions, have also increased business at local shops and hoteliers within and around the host community. See also Pastor Chris Okafor Prophecies For 2016. Dr Chris Okafor, who is the General Overseer of Mountain of Liberation and Miracle Ministry (MLMM), has been named as ambassador of peace by a Ghanaian news tabloid in a colourful event that witnessed movers and shakers around the world. He was also honoured with another Integrity Award of the year, while Newsthurb magazine, on its own, honoured Dr Okafor as the Best Accurate Seer for the year 2012. 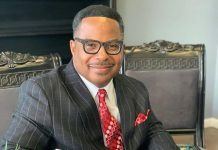 The popular pastor has a few scandals and rumors attached to his name. He was also rumored that he do sleep with both young and old women of his congregation in early 2014. Hi, Am George Mutanti a resident of Livingstone City, the tourist Capital of Zambia.Man of God you are a blessing & a gift to the Body of Christ.Please ,kindly pray for me in the following areas; 1.The fulfilment of all the promises & purpose of God in my life. 2.Healing in my life,healing in my spouse life,& healing in my family generally.3.Financial Breakthrough. 4.Divine Connections. 5.Grace of God & Divine Wisdom upon my life. 6.Activation of each & every gift that God has deposited in me.Thank you for being a blessing to many.